Strengthen arabesque, work your turnout, and stretch hands-free when you win a Balletband. 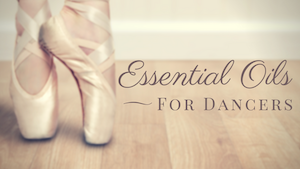 It’s a favorite flexibility tool among aspiring and professional dancers, alike! 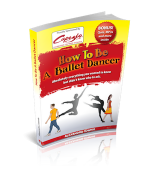 Dancers in training learn how to become a professional dancer the Smart and Healthy way in the digital dance book, How To Be A BAllet Dancer by Alexandra Cownie. And don’t forget the companion cookbook, 100 Healthy Snacks! Tweens will get a kick out of this ongoing comic book series about the struggles, mishaps, thrills, and hilarious moments in the lives of three best friends trying to improve their dance skills. Learn more about the sewn hardcover books in the series. Tendus Under A Palm Tree blogger and Miami City Ballet dancer, Rebecca King wants to give away two of TENDUS’ latest “Keep Calm” tees. It’s the perfect Nutcracker memento for you or your favorite aspiring ballet dancer. Enter to win one of three $99 gift certificates for the positivedance.com store, a division of the Rhee Gold Company. Winners can choose from an array of products like t-shirts, subscriptions to Dance Studio Life Magazine, handbooks, DVD’s and more. Giveaway ends Feb 22, 2012. Enter to win a box of 12 healthy snack bars from Barre, developed by dancers, created for everyone. Made from all natural, whole food ingredients –unlike some other bars, you can pronounce all of the ingredients that make up Barre. Giveaway ends Feb 20, 2012.